Welcome to Jane Isaac, author of After He’s Gone. Thank you for inviting me to your blog, Ruby, I’m really thrilled to be here! This was such a fun exercise to do, but such a difficult decision as there are so many books that I would consider influences. It’s also a changeable feast, as I keep changing my mind! In the end, I’ve plumped for books that have had not only a profound effect on me throughout my life but have also stayed with me. This book had a huge effect on me as a young child. The idea of a forever-young boy who had amazing adventures and could fly, displays such delicious imagination. It’s a book I still have on my shelf today. I devoured Enid Blyton’s books as a kid and then re-read them all with my daughter when she was growing up. 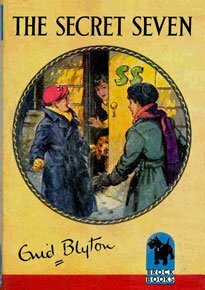 There’s something special about the way Blyton draws readers into a story and the Secret Seven series, in particular, ignited my early love of mysteries. I first read this book under the duvet by torchlight because I couldn’t bear to put it down! I was captivated by the March household to the extent that I wanted to be a March sister. The story even gets a mention in my third book. A beautifully haunting tale in a wonderfully atmospheric setting, I’ve re-read this novel several times over the years and never fail to be blown away by the sublime prose. 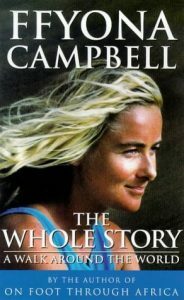 The strength of character displayed by Campbell in this book about her travel experiences and the incredible settings had a profound effect on me and fuelled my own wanderlust. Eventually, when I was thirty, my husband and I took a year out to travel the world. During our travels, I spent a lot of time in the Far East and read this book just before we landed in Japan. 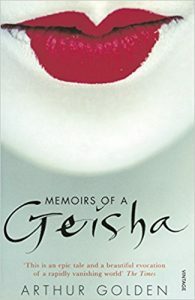 Arthur Golden’s historical tale of a fictional geisha living in Kyoto before and after World War II is engaging, rich in culture, beautifully written and really brought the setting alive. My husband still reminds me of the days we spent in Tokyo, searching for geishas and samurai swords. It wasn’t until I’d left Japan that I read Tokyo by Mo Hayder (retitled The Devil of Nanking), a compelling mystery set between Tokyo in the 1990s, and 1937 Nanking. While the mystery was intriguing, the history in this book was both heart wrenching and harrowing, and tales of the atrocities stayed with me long after I read the last page. With beautiful prose and an enchanting Mediterranean backdrop, Highsmith does a wonderful job of sociopath, Ripley. He’s a killer, we may not like him, but we can’t help rooting for him. 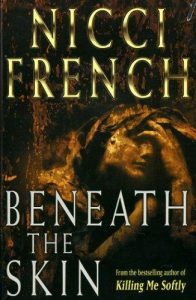 Not long after I returned from travelling, my daughter was born and I lost my reading mojo for a while, until a friend bought me a copy of Beneath the Skin by Nicci French, a creepy and intense tale that captured my imagination. I remember working my way through their early list, the perfect escapism when my daughter was young. 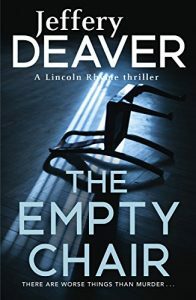 Another friend introduced me to Jeffery Deaver and I quickly became fascinated by the way that Lincoln Rhyme, the paraplegic investigator sorts through the clues that lead them to the killer, aided by his brilliantly flawed sidekick, Amelia Sachs. Rhyme is one of the best fictional detectives in my opinion. 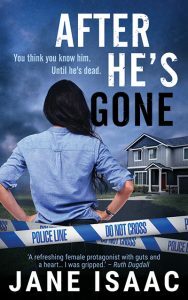 After He’s Gone was published on 18 June 2018.